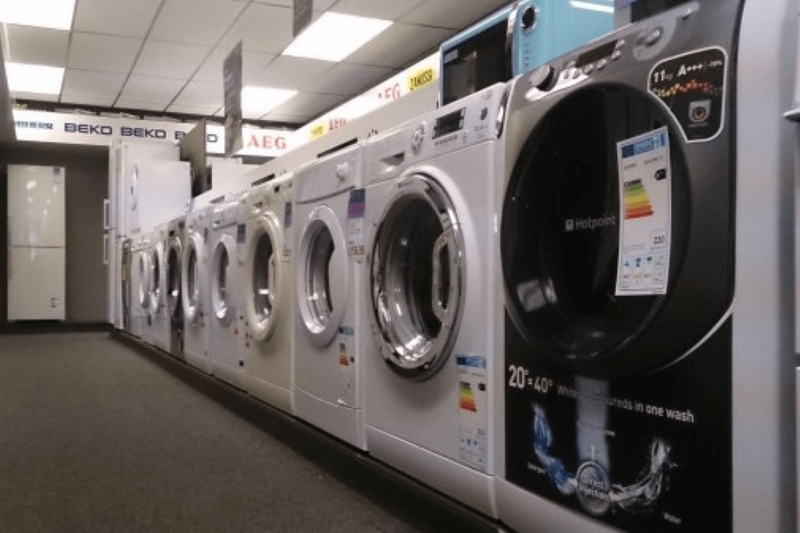 2015 turned out to be an excellent year for the UK home appliance market, according to Richard Allen, Account Manager, Major Domestic Appliances at market analysts, GFK. 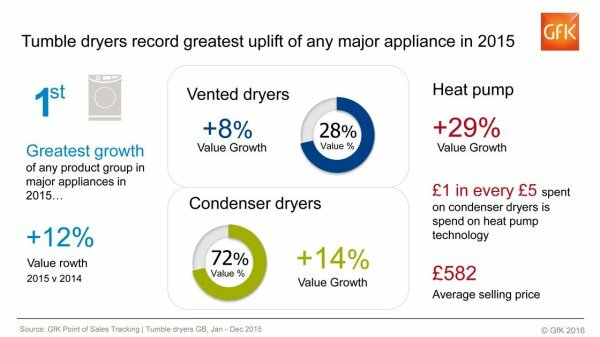 Overall, appliance sales were up by 9% to almost £3.9 billion, with tumble dryers leading the way with a 12% increase in value sales, bringing the category size to £237 million. Relatively poor weather throughout the year, coupled with strong retailer offers has encouraged sales of dryers. Condenser dryers make up nearly three quarters of the dryer category, being more convenient to install than vented dryers and can be fitted into ally types of property.